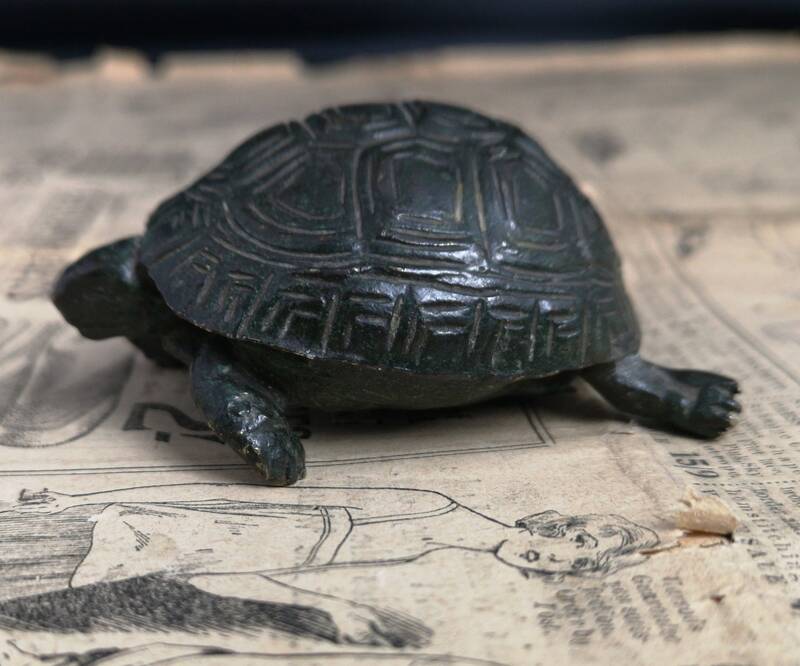 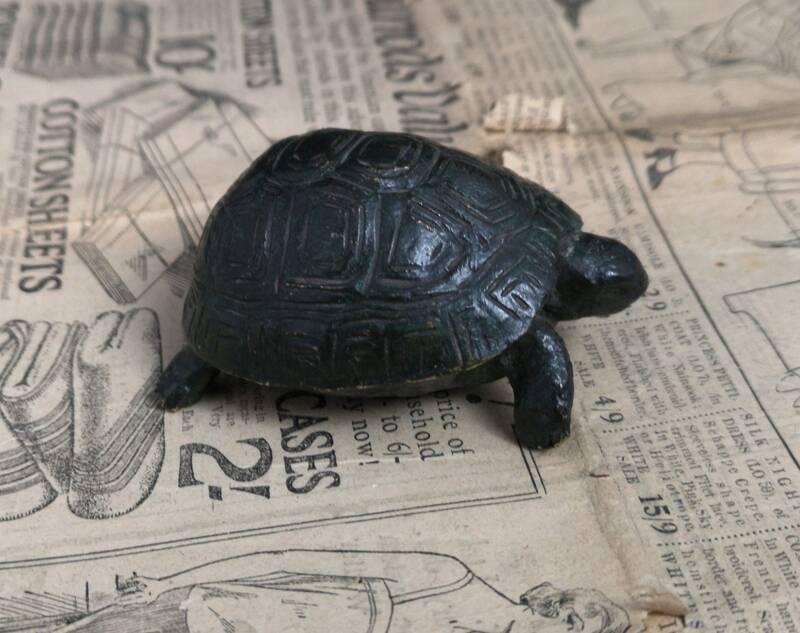 A charming early 20th century solid bronze tortoise figure. 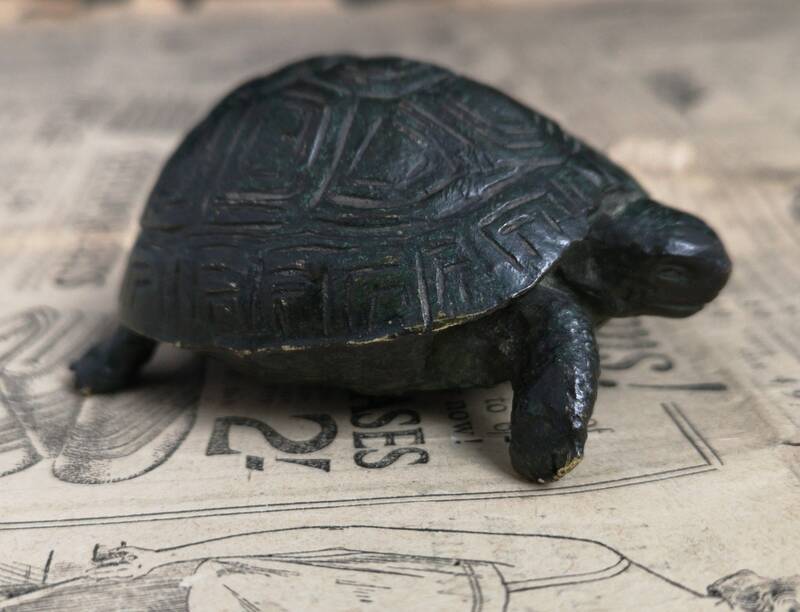 Heavily patinated with a peek of the golden bronze coming through on the feet. 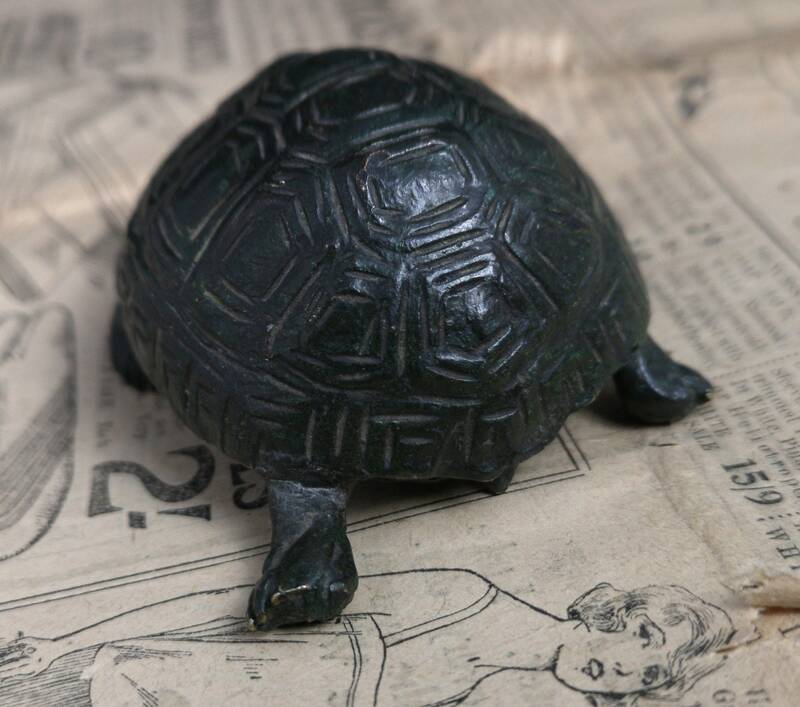 Lots of nice detail and that lovely aged bronze patina, it us a very heavy piece and is solid throughout. 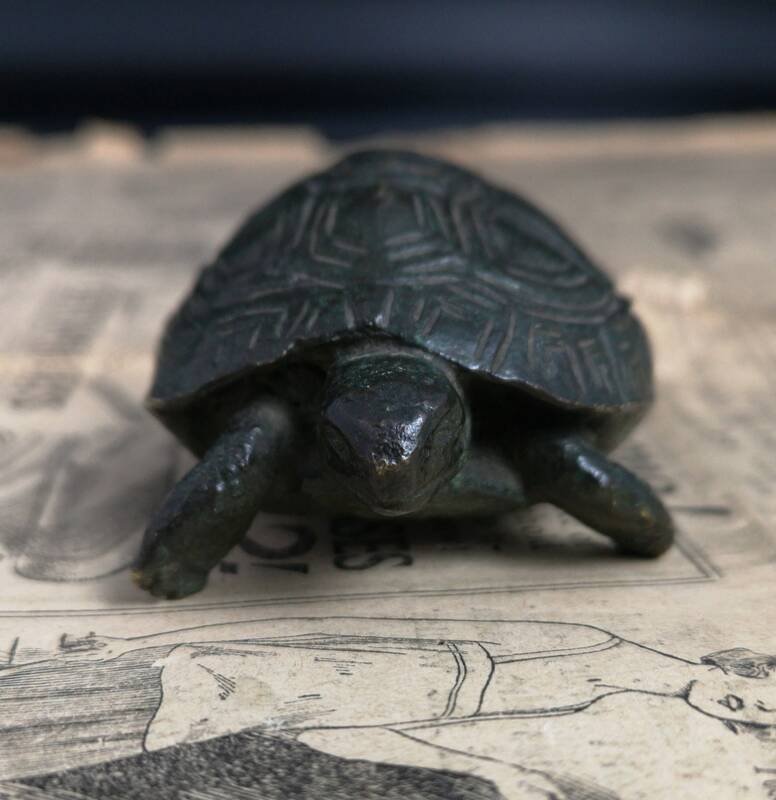 Great piece for the collector of bronze figures or tortoises. 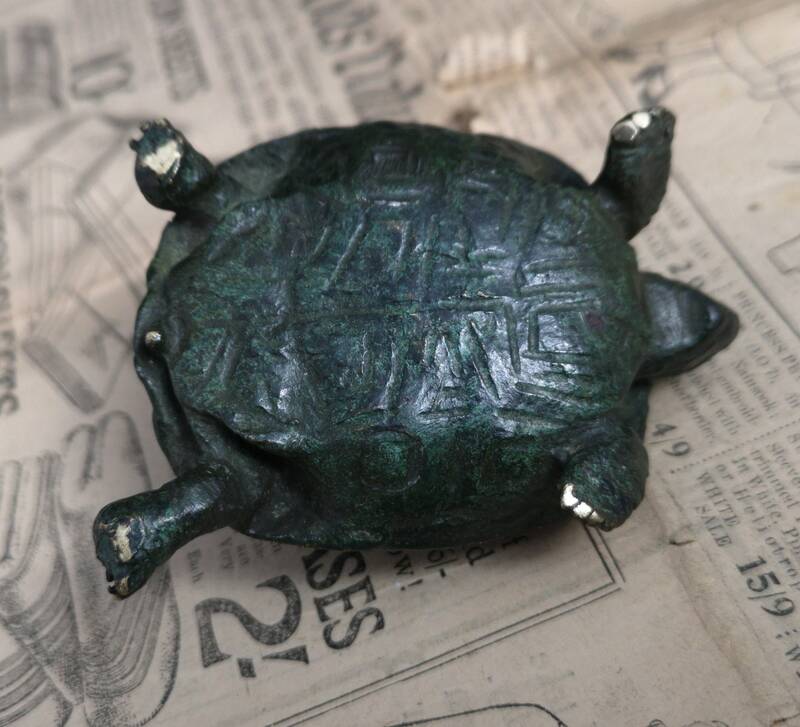 Approx 2" width, 1.5" height and 3" length.